No iPhone users can miss the chance to download the in game of the moment. Downloading ola k ase play or what will fulfil all your expectations with regard to entertainment on your phone. 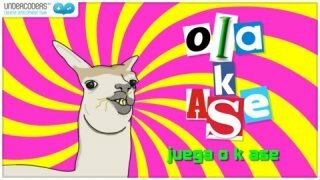 ola k ase play or what for iPhone is the very latest groundbreaking game. 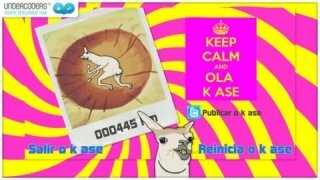 Not only does it include one of the largest Internet happenings of recent times, as is the case of the llama of Apollonian looks that is successful on the Internet thanks to its refined spelling, but it is combined with yet another event of the year: envelopes full of money. A game like this was becoming necessary. In ola k ase play or what you must help the llama to avoid all the obstacles that it comes across and at the same time try to collect the envelopes left around by some absent-minded treasurer. 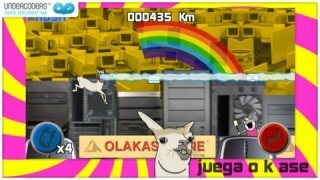 Llama with incredible jumping and laser shooting powers. 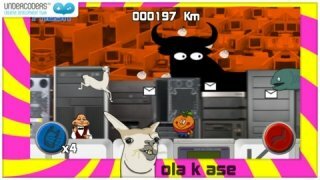 Crafted settings inspired on the tackiest and most unpleasant current Spanish affairs. Don't hesitate about downloading ola k ase play or what for iPhone and get carried away by this entertaining and fun game that will cause you to smile, without doubt.